PDFIn order to support machine-readable and searchable Unicode Hebrew fonts, the layout in these PDFs has been modified. There has been no changes made to the content. It started as a project to compile a siddur that I could daven from. Living in Chicago, most of the siddurim which are available are Artscroll, Birnbaum, etc. Just to try and find a Rodelheim, or Baer’s Avodat Yisroel is nearly impossible. That was about twelve years ago. The final piece of the puzzle, are the notes on the numerous sections of the text which I compiled and edited from the website of KAYJ. It’s forum contains Halacha and Minhagim sections where I and others pose questions which are mostly answered by Rav Hamburger himself. I would like to challenge all those who come across this work, no matter how religious or not you are, and regardless as to which movement you feel you belong, to write down as best as you can, your family minhagim [customs]! For myself, I wrote down the following categories: everyday, weekdays, Shabbat, Yom Tov, Pesach, Shavuot, Rosh HaShana, Yom Kippur, Succot, Ḥanukkah, Purim, Tisha B’Av, Bar Mitzvah, etc. Then I went about filling these categories throughout the year, by in large, recalling at the time, “What did we do growing up?”, “What did my mom/dad say about what their families did when they were growing up?”, “What minhagim did the shul/community do in their town?” It will give your children and grandchildren a rich heritage to pass on to them in written form. I noticed as well that a number of old siddurim included Taamei Hamikrah for whole sections of Tanach and so I included those sections with taamim as well in the siddur. I used all the siddurim and sefarim listed [below] to compile the siddur. 1. In order to support machine-readable and searchable Unicode Hebrew fonts, the layout in these PDFs has been modified. There has been no changes made to the content. “תפלה שפת ישראל | Tefiloh Sefas Yisroel, a nusaḥ Ashkenaz siddur dedicated to the memory of the Bad Homburg Jewish community” is shared by Rallis Wiesenthal with a Creative Commons Attribution-ShareAlike 4.0 International copyleft license. Please reciprocate for any adaptation or redistribution of this work by (1) properly attributing the work to Rallis Wiesenthal, (2) clearly indicating the date you accessed the resource and whether any changes have been made (and if so, please be in touch with us and leave a comment below so that we might note your adaptation or improvement), (3) providing a link back to this source, and (4) specifying the Creative Commons Attribution-ShareAlike (CC BY-SA) 4.0 International copyleft license under which this work was shared. A print copy of this siddur may be purchased directly from Dimus Parrhesia Press. All proceeds of sales directly support the Open Siddur Project. 2010-12-08 – 2 Tevet 5771 at 12:39 pm · Reply. It is a truly wonderful siddur. Thanks so much for your clear time and efforts put into this. 2010-12-10 – 3 Tevet 5771 at 2:27 am · Reply. 2011-03-12 – 7 Adar II 5771 at 10:49 pm · Reply. Am I allowed to put this on lulu( I don’t want to make money off of it(chas veshalom) but I wan’t to have a print version of it, and to give my Rov (a Yekke) one. 2011-03-13 – 7 Adar II 5771 at 2:37 am · Reply. Saddly I know nothing about PDFs and Lulu rejected it saying that some fonts are not embeded :( kinkos quoted me a ridiculous 200 dollars for one copy and since its not on HebrewBooks it can’t be used for Print your Sefer website ;( anyone can help suggest something? 2011-03-12 – 7 Adar II 5771 at 11:06 pm · Reply. My understanding is that by contributing this with a Public Domain declaration Creative Commons By Attribution Share-Alike 3.0 Unported license, Rabbi Rallis Wiesenthal has explicitly granted permission for you to adopt, adapt, and redistribute this work, without any restrictions so long as all derivative works correctly attribute the original source and are redistributed with this same license. The CC-BY-SA license is a free/libre license and thus does not restrict commercial use. I would only add that occasionally, Rabbi Rallis offers corrections. The complete text of the Siddur Bnei Ashkenaz in Unicode Hebrew. My recommendation is that whether you make a new layout for the siddur using this source text, or whether you use the PDF that Rabbi Rallis offered, that you make certain to include a date for when you accessed the file in your print version and indicate the URL where it was accessed from. 2011-03-13 – 7 Adar II 5771 at 12:02 pm · Reply. 2011-03-13 – 7 Adar II 5771 at 11:17 am · Reply. Can you paste the full error message you got from Lulu if it has more information than you already gave us? Unfortunately, the fonts used in the original PDF are non-free, so we can’t provide them in full. I don’t have any of the fonts on my system and the PDF displays correctly, so I have to assume that it’s using partial embedding. You can try a different online print-on-demand house and see if they’ll accept it. It may be a lot of work to put the whole thing into all-free fonts, but it’s doable. There may be some tricks to get the system to do automated font substitution. Aharon V aharonium — Do we have an editable source version for the PDF that we can provide? Eventually, when we get our interface in order, you won’t have to worry about these issues, but I appreciate that you don’t want to wait 1-2 years. 2011-03-13 – 7 Adar II 5771 at 2:54 pm · Reply. @aharon and @efraim We have an editable source (see above) and standard unicode Hebrew fonts. As Efraim pointed out, until we build the Open Siddur web application, some offline work is required to have what you’d like done. You will need to apply a new layout with Rabbi Wiesenthal’s sourcetext with Unicode 4.0+ Hebrew fonts. I think that would be a very worthwhile project if you did so using a tool that respects open and standard file formats (like openoffice.org. Please share your work and save others from having to redo the important work you do. @yakov Thank you for offering this service. We welcome partnerships in bringing freely licensed and Public Domain resources to print. Wherever possible. we would really appreciate that some percentage of any revenue derived from commercial use of source shared through our project be contributed to our project as an investment in our future ability to share Jewish liturgy and related creative work. To note tax-deductible donations can be made to the Open Siddur Project via our 501(3)c licensed fiscal sponsor, the Center for Jewish Culture and Creativity. Thank you. 2011-03-14 – 8 Adar II 5771 at 10:54 pm · Reply. 2011-03-14 – 8 Adar II 5771 at 10:57 pm · Reply. I just noticed Hebrewbooks and publishsefer is same person, so hes already here, you can just give him the contact info or declaration . 2011-03-15 – 9 Adar II 5771 at 3:12 am · Reply. Just spoke with Rabbi Wiesenthal and he will be including a license statement in the next edition of the Siddur Bnei Ashkenaz. Currently, version 1.04 does not have this statement. Expect version 1.05 to include it. Rabbi Wiesenthal is graciously sharing his PDF with a CC-BY-SA 3.0 Unported license. This license covers the layout and any copyrighted content contributed by Rabbi Wiesenthal and Mechon Moreshet Ashkenaz. All content derived from Public Domain sources remains shared with a Creative Commons Zero Public Domain dedication. 2011-03-15 – 9 Adar II 5771 at 10:01 am · Reply. Yes I contacted Rabbi Wiesenthal and he got in touch with Hebrewbooks,so hopefully they will upload it and I will order a copy or too soon. 2011-03-15 – 9 Adar II 5771 at 9:39 am · Reply. @aharonium — Thanks for the disambiguation. Mentioning a separate license for public domain content is unnecessary. Creative Commons was prescient enough to explicitly exclude public domain material from any licensing restrictions in their CC licenses (term #2 in the legalese), so there’s no suspicion that CC licenses attempt to (legally or illegally) reclaim content from the public domain. The meaning of the term in plain English in the deed. That’s what happens when you have good lawyers with an interest in freedom writing your licenses for you. Re: an editable source, I meant, the source from which the PDF was generated, not the data. PS We should have a record of licensing data for everything that’s contributed to us. 2011-03-16 – 11 Adar II 5771 at 3:41 am · Reply. Looking at Rallis’ PDF properties, there are a good number of fonts embedded, all Guttman and Davka fonts, so I think it’s interesting that the errors are on the more familiar Times and Arial fonts. Could be Davka isn’t embedding those fonts like it does it’s own Hebrew fonts. To know more we’d probably need to play around with DavkaWriter and Rabbi Wiesenthal’s source DWD file. 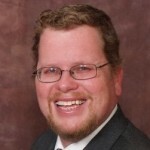 2011-03-18 – 13 Adar II 5771 at 7:38 am · Reply. Hi, this is outstanding and kol hakavod! However, there seems to be a technical problem, namely that the text cannot be downloaded. Trying to download the .txt or the .pdf simply redirects again to this page. I would love to see this text so please see if this can be corrected! 2011-04-14 – 10 Nisan 5771 at 4:05 am · Reply. Let me know if this is still a problem. 2011-05-16 – 13 Iyyar 5771 at 1:31 am · Reply. I’ve been looking for a Yekke siddur. Thanks for putting this together. I have a hard copy of the siddur Rav Hamburger supervised. A PDF of the Shabbos and Yomtov portions is available, but strangely enough, not the weekday portions. I just put this on my kindle. Would it be possible to add a table of contents? Kindle’s PDF support is kind of weak, and a properly linked TOC would make it much more useful. 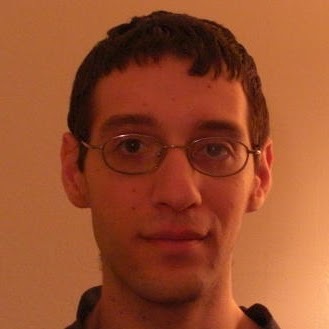 2011-07-20 – 19 Tammuz 5771 at 5:59 pm · Reply. Has the siddur been published and where can it be bought? 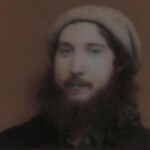 2011-07-20 – 19 Tammuz 5771 at 6:01 pm · Reply. the S’fas Emes siddur is still in print from Goldschmidt in Switzerland. a French version (ie instructions in French) of the “Sha’are Tfilo” siddur known as the Bloch Siddur (originally also Roedelheim) is also available. In most cases it corresponds to the yekkish minhag–it is actually Minhag Alsace. 2012-01-06 – 12 Tevet 5772 at 11:44 am · Reply. 2012-05-02 – 10 Iyyar 5772 at 4:16 pm · Reply. 2012-05-02 – 10 Iyyar 5772 at 6:49 am · Reply. Wonderful! Does this Siddur come in a printed format? 2012-09-13 – 26 Elul 5772 at 8:18 pm · Reply. I have several Rodeheim siddurim. I am from Frankfurt, having come here as an infant prior to the war. I have all the minhagim and rituals as observed by my family from a family history written by my late great uncle. 2012-11-03 – 18 Heshvan 5773 at 10:09 pm · Reply. I stumbled upon this siddur and I would love to have a print version of it. But it seems that this is not happening or much too complicated and lots of discussions about fonts and licences. Why do you not put it onto lulu so that anyone can just order it there? 2013-11-04 – 2 Kislev 5774 at 12:22 pm · Reply. what are the chances of actually getting this siddur printed? 2013-11-04 – 2 Kislev 5774 at 8:17 pm · Reply. 2013-11-17 – 15 Kislev 5774 at 9:50 am · Reply. My Grandfather was Kantor Moses Herz HY”D. My father Yitzchak Sophoni Herz left us a legacy of life in bad Homburg.. I am presently putting together a book he wrote of the 600 year Kehillah(English). It was published in bad homburg back in the early 80’s in German.It is a fascinating book to read. My father had a wonderful memory of the people and events till he left Germany in 1939. 2013-11-17 – 15 Kislev 5774 at 1:18 pm · Reply. Rodelheim siddurim are available via Israel. I also have one from several years ago in NY. 2013-11-17 – 15 Kislev 5774 at 3:11 pm · Reply. 2014-12-16 – 25 Kislev 5775 at 12:16 pm · Reply. Does your father mention my ggf Family/Rabbi Kottek in his memoirs? 2013-11-17 – 15 Kislev 5774 at 5:43 pm · Reply. It’s very nice to hear from a former Chicagoan! This siddur is different from the current Roedelheim siddur in the following ways (extensive explanations which are footnoted within the siddur text, Tanach verses are marked and included with their cantilation, words which contain a Shva Na are shown). Prayers for Weekdays, Shabbos, Youm Touv, and Yomim Nouroim are included. In the sections following the prayers there is further elaboration on a variety of subjects as well as histories of the Jewish communities of Bad Homburg Germany as well as Chicago. 2013-11-22 – 19 Kislev 5774 at 8:36 am · Reply. 2013-12-16 – 14 Tevet 5774 at 8:08 pm · Reply. 2014-12-16 – 25 Kislev 5775 at 7:30 pm · Reply. 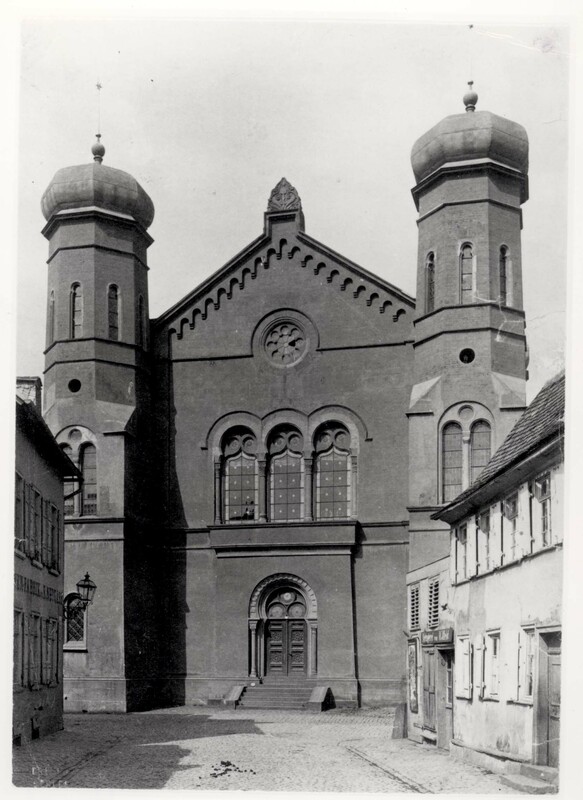 In 1887 Dr. Kottek from the Prussian capital of Posnan (Posen) took over the Homburg rabbinate. He was a student of Rabbi Israel Hildesheimer and distinguished himself in his great piety and vast Talmudic knowledge. After twelve and a half years he and the Chevras HaShas made a Siyum Shas Bavli in 1912. Dr. Kottek together with Rabbis Bamberger of Hanau, Dr. Jonas Bondi of Mainz and Dr. Solomon co-founded the “Jewish Literary Society” in Frankfurt. He formed a close relationship with Yitzchak Eizik Halevi Rabinowitz (a close colleague of Rabbi Chayim Soloveichick in Yeshivas Volozhin), who had relocated to Hamburg, where he was Klaus-Rabbiner. Rabbi Rabinowitz came every year for a two month medical vacation to Homburg. He was the initiator of the so-called ‘Homburger Conference’ in August 1909, whose prominent rabbis and Torah scholars from Eastern Europe participated in the founding of the world organization ‘Agudath Israel’. In 1912, Dr. Kottek celebrated 25 years in the rabbinate, unfortunately he passed away just a few months afterward. This is an excerpt from the siddur. 2014-12-18 – 27 Kislev 5775 at 8:31 am · Reply. I was wondering if you can make/set a version of the 2-volume copy on TheBookPatch in a small size. I am looking to replace or enhance my collection of Roedelheim Siddurim. 2014-12-18 – 27 Kislev 5775 at 7:44 pm · Reply. I would love to do so, however I believe that if I reduce the size of the overall siddur, it would make it very difficult to read for most readers. I hope to publish the current one volume version through Goldschmidt Publishing the printers of the Roedelheim Siddur. I am currently working on a small version of the siddur, that version will just contain the text without the elaborate explanations. 2015-05-27 – 9 Sivan 5775 at 12:07 pm · Reply. >> I hope to publish the current one volume version through Goldschmidt Publishing the printers of the Roedelheim Siddur. Of course you mean Victor Goldschmidt AG of Basle, Switzerland. Would a different font be used to print the siddur, in place of the one you currently use in your PDF’s? 2015-05-27 – 9 Sivan 5775 at 12:53 pm · Reply. I believe the fonts will remain the same as in the pdf. Why do you ask? 2015-05-28 – 11 Sivan 5775 at 9:38 am · Reply. 2015-01-15 – 24 Tevet 5775 at 12:41 pm · Reply. 2015-09-17 – 5 Tishri 5776 at 11:28 pm · Reply. Are these differences intended? This information would be very interesting. 2015-10-13 – 1 Heshvan 5776 at 11:30 pm · Reply. it seems that the Goldschmidt project is still taking some time? Where can I best get now the actual version of the siddur in print form?? I found it on thebookpatch (Tefilloh with 2 L), dated 2013 for 36 USD and on amazon (with one L) for 12 USD. 2015-12-08 – 27 Kislev 5776 at 11:57 pm · Reply. First, shkoyech to Rabbi Wiesenthal on this wonderful work. Second, you mention a siddur by Machon Moreshet Ashkenaz. Is this in print or publically available? 2015-12-09 – 27 Kislev 5776 at 7:04 pm · Reply. Thank you very much Avner. I would contact the Machon Moreshes Ashkenaz. Their website: moreshesashkenaz.org their email: E-mail: info@moreshesashkenaz.org. HoRav Hamburger has been updating his downloadable Chazzan Siddur for Shabbos from time to time, in order to be as correct as possible to the authentic Ashkenaz liturgical tradition. 2015-12-25 – 13 Tevet 5776 at 3:23 am · Reply. A belated thank you for your reply. In case the Goldschmidt option fell through for your siddur, I wonder if a GoFundMe-style option would be worthwhile. 2015-12-27 – 15 Tevet 5776 at 8:03 am · Reply. Thank you for your suggestion. The delay in the siddur’s publication has been largely my fault in that I try to refine and update the siddur. I believe it is now complete IY”H! 2015-12-28 – 17 Tevet 5776 at 7:46 am · Reply. Would this be the appropriate sign-up/order page? Is there target completion date? It appears that many of us are very excited and eager to obtain this publication. 2015-12-28 – 17 Tevet 5776 at 5:31 pm · Reply. That is the signup page. I did email Goldschmidt and I will post their reply when I receive it. Thank you very much for your patience! 2016-07-01 – 25 Sivan 5776 at 6:55 am · Reply. I just wanted to check and see if there was an progress or updates. Thank you. 2017-03-02 – 4 Adar 5777 at 2:38 pm · Reply. The publisher is concerned that there should be enough of a demand to warrant printing thousands of copies. I am working on trying to increase demand. 2016-07-03 – 27 Sivan 5776 at 5:30 am · Reply. I spoke with the publisher last week and I hope it will be printed before the year is out. 2017-03-02 – 4 Adar 5777 at 9:28 am · Reply. 2017-05-10 – 14 Iyyar 5777 at 6:07 pm · Reply. So I plug that into a Google search, and it returns exactly three items: *this* very page, and two external links to pages that appear to be copies of this page. 2017-05-11 – 15 Iyyar 5777 at 8:04 am · Reply. Mr. Shandelman, I assure you this gentleman and his work do exist. Rabbi Salomon took it upon himself to condense the work “Divrei Kehilos” originally written by Dayan Shlomo Zalman Geiger (1792-1878), of Frankfurt (the older half-brother of Abraham Geiger (1810-1874) one of the founders of the German Reform movement in Germany), into a concise pamphlet. When I cited Rabbi Salomon in my siddur, I received an email from him about how flattered he was for my mention of his work! 2018-03-27 – 11 Nisan 5778 at 12:45 pm · Reply. Is that pamphlet available today for purchase? 2018-03-28 – 13 Nisan 5778 at 7:46 pm · Reply. At the time the pamphlet was free to download from online. I don’t remember from which source I received it. 2017-05-19 – 24 Iyyar 5777 at 7:39 am · Reply. I was not suggesting that the work does not exist, only that it seemed to be under Google’s radar, as unlikely as most people would think that is. likewise mentioned in your siddur. Where can I find more information about that Machzor? Are photo images of that Machzor available anywhere on line? 2017-05-21 – 26 Iyyar 5777 at 8:00 am · Reply. If anyone would like images of the title pages of all three machzorim, please email me. I found all three machzorim on Ebay. Unfortunately, I don’t believe these machzorim are available on line. 2017-07-11 – 17 Tammuz 5777 at 10:46 am · Reply. Yes, would you please send me those three images? Thanks! 2017-05-21 – 26 Iyyar 5777 at 8:02 am · Reply. The three machzorim I am referring to are; Machzor R”H and Y”K, 1722 Frankfurt am Main, Machzor R”H and Y”K 1720 Homburg an der Hoehe, Machzor Sholosh Regolim 1922 Homburg an der Hoehe. 2018-05-23 – 9 Sivan 5778 at 2:24 pm · Reply. Dear Rabbi Wiesenthal. I printed your Siddur many years ago and I am still using it every day! Thank you so much. 2018-05-23 – 9 Sivan 5778 at 8:28 pm · Reply. I am genuinely humbled by your recent comment. I am currently working to get my siddur officially published. It has been years in making, but it seems that it will finally be a reality. Once again, thank for your patience! 2018-10-04 – 26 Tishri 5779 at 1:04 pm · Reply. RRW, you no longer support the download of the whole siddur in an editable format??? It makes the copyleft kind of useless. I would love to leverage your research, and just wondering why it was made difficult. 2018-10-04 – 26 Tishri 5779 at 1:19 pm · Reply. 2018-10-08 – 30 Tishri 5779 at 10:04 am · Reply. I just thought Rabbi Wiesenthal used to have a “full book” ODT of the siddur, rather than having to download the siddur in parts.